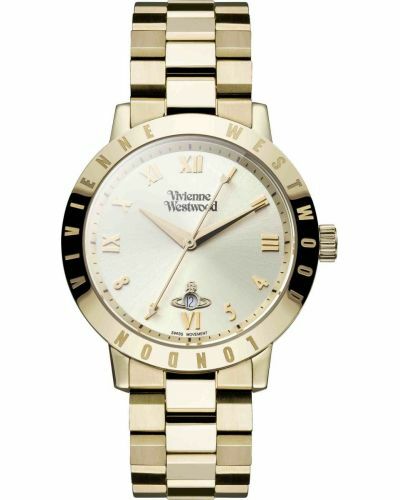 This stunning women’s watch is brought to you by world renowned fashion designer Vivienne Westwood as part of their Bloomsbury collection. 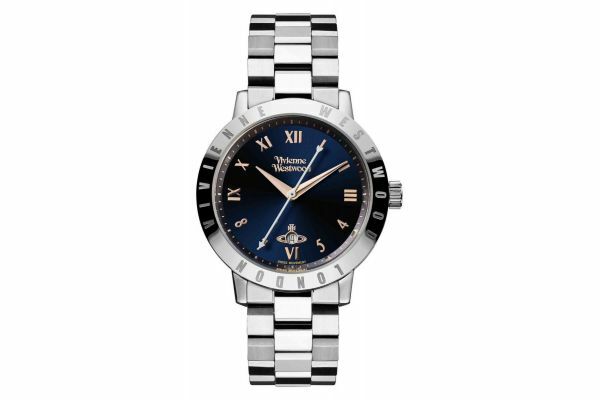 Elegant in its design, the Bloomsbury watch features a highly polished stainless steel bezel with engraved logos and a 33mm round brushed stainless steel case. 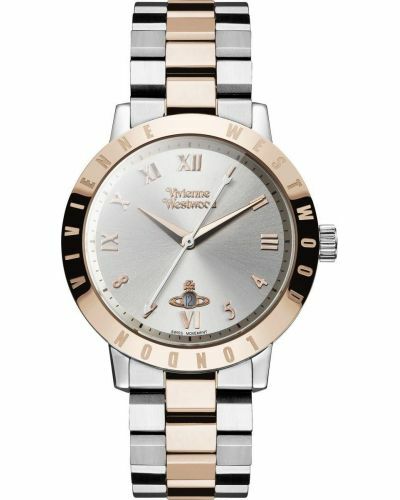 Striking with a deep navy sunray dial and accentuated with rose gold hour markers in both roman numerals and numerical figures. The dial is beautifully emphasised by the delicate rose gold batons and cupids arrow second hand; the Bloomsbury watch has been carefully crafted to ensure no opportunity for detail has gone amiss. A small date display window is located at the 6 o'clock position. The elegant brushed stainless steel link bracelet has sheared edges on the links with highly polished centers adding texture to the bracelet and exuding sophistication, it is completed with a push deployment closure. Powered by Swiss made Quartz movement and protected by mineral glass this beautiful watch is water resistant up to 30 meters and comes complete with a 2 year guarantee. For us to size your new Vivienne Westwood Bloomsbury watch as accurately as possible, please take a look at our downloadable Watch Sizing Guide.